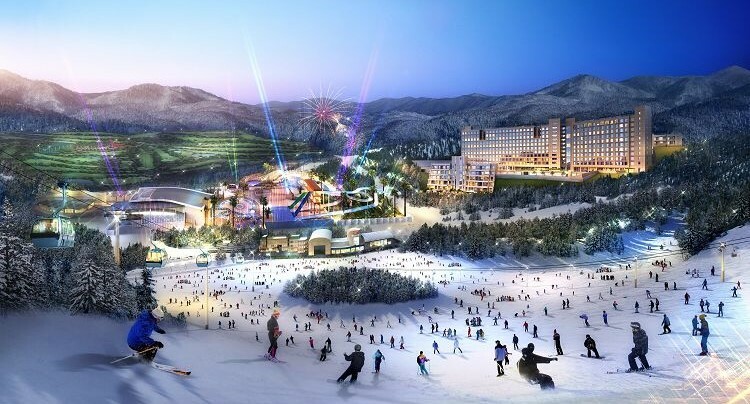 If your family wants different attractions in a ski resort, book this tour and have fun at Phoenix Pyeongchang Snow Park! Even if you are not good at skiing / snowboarding, after taking 2 hours of basic lessons and free ski / snowboard time, you will gain confidence. If you get tired of skiing / snowboarding after the lesson, you can always ride on snow sled by a gondola. This is the only ski product that you can go for snow sledding also. 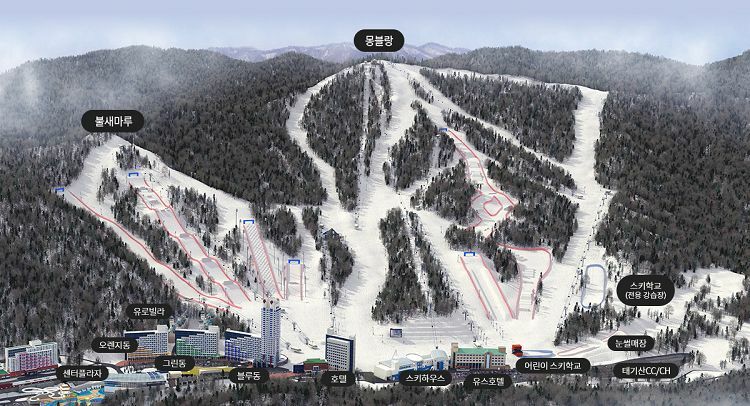 • There are a total of 21 slopes include six official slopes for freestyle ski, snowboard, and Panorama. • There is also a beginner slope from the top spanning 2.4 km, eight lifts, and eight gondolas. • Halfpipe, table top, round quarter, and rails are provided for snowboarders, so they can enjoy a variety of courses. 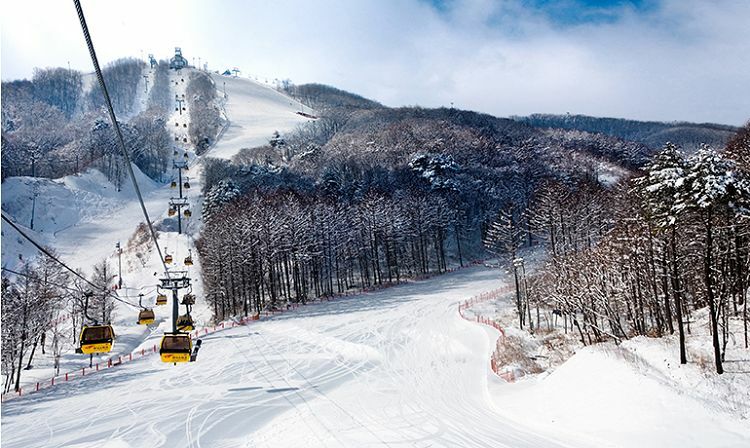 • Known for Korea's first comfortable and safe gondola lift system, Phoenix Pyeongchang Snow Park allows all beginners, intermediates, and advanced to choose their slopes freely. 1. Depending on the traffic situation / weather, the schedule may change. 3. When the tour cannot be carried out due to bad weather conditions, a 100% refund will be given. 4. For those who want additional ski / snowboard lessons, please inquire the Hana Tour desk at the concierge desk in the lobby of Phoenix Pyeongchang Snow Park Hotel. 5. The tour is available for children aged 5 years and older, and a guardian must be accompanied by children under 12 years old. 6. You can ride a snow sled instead of ski / snowboard after the ski lesson. Please inform the guide or instructor in this case!